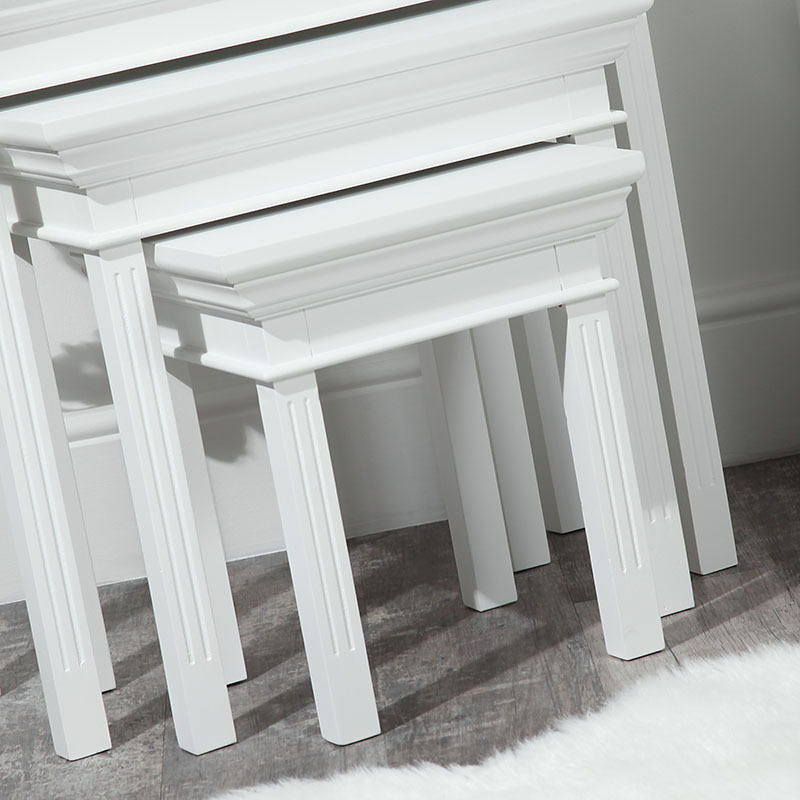 Introducing our gorgeous nest of 3 tables from our ever popular Daventry white range! Perfect for use as occasional side tables or coffee tables to be a focal feature in your living room. 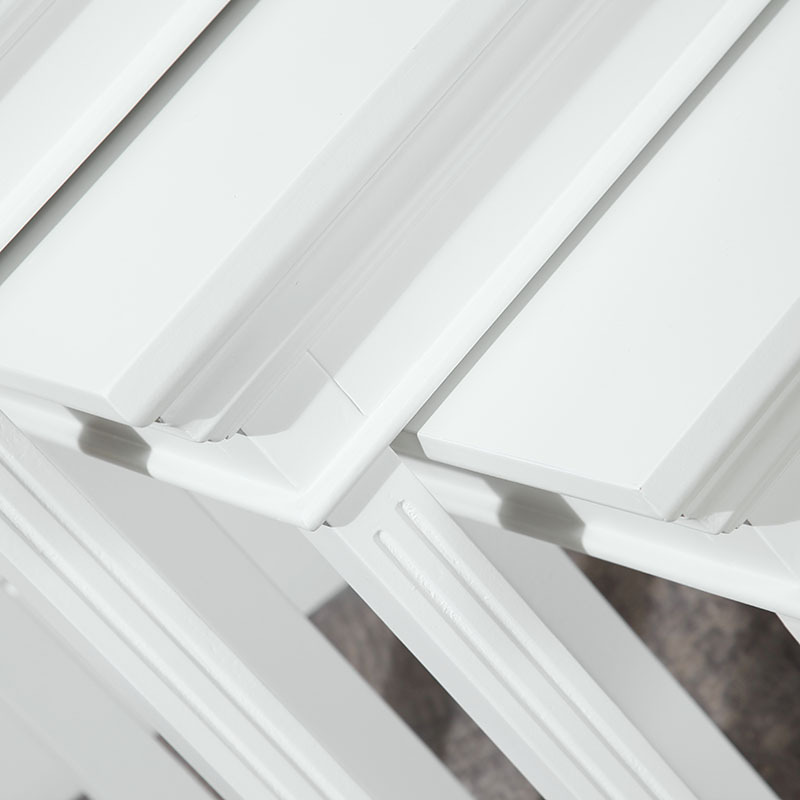 White painted wood for a sleek and stylish finish to complement any interior whether contemporary, vintage or modern. The tables are great to nest together or separate giving extra spaces for displaying your homely treasures through out your lounge or sitting room. Made from wood and painted in a crisp white colour. Each table comes fully assembled with the large table measuring 70cm x 65cm x 40cm, medium at 54cm x 53.5cm x 40cm and small at 37.5cm x 41cm x 40cm (width x height x depth).